Sarah Palin reacts to Climategate: "The President should boycott Copenhagen"
“Climate-gate,” as the e-mails and other documents from the Climate Research Unit at the University of East Anglia have become known, exposes a highly politicized scientific circle — the same circle whose work underlies efforts at the Copenhagen climate change conference. The agenda-driven policies being pushed in Copenhagen won’t change the weather, but they would change our economy for the worse. 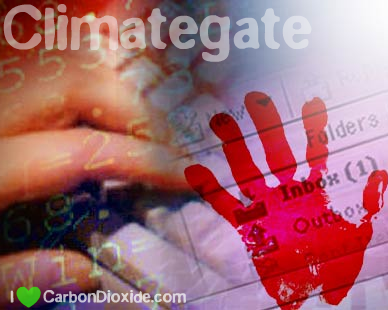 The e-mails reveal that leading climate “experts” deliberately destroyed records, manipulated data to “hide the decline” in global temperatures, and tried to silence their critics by preventing them from publishing in peer-reviewed journals. What’s more, the documents show that there was no real consensus even within the CRU crowd. Some scientists had strong doubts about the accuracy of estimates of temperatures from centuries ago, estimates used to back claims that more recent temperatures are rising at an alarming rate. This scandal obviously calls into question the proposals being pushed in Copenhagen. I’ve always believed that policy should be based on sound science, not politics. As governor of Alaska, I took a stand against politicized science when I sued the federal government over its decision to list the polar bear as an endangered species despite the fact that the polar bear population had more than doubled. I got clobbered for my actions by radical environmentalists nationwide, but I stood by my view that adding a healthy species to the endangered list under the guise of “climate change impacts” was an abuse of the Endangered Species Act. This would have irreversibly hurt both Alaska’s economy and the nation’s, while also reducing opportunities for responsible development. Our representatives in Copenhagen should remember that good environmental policymaking is about weighing real-world costs and benefits — not pursuing a political agenda. That’s not to say I deny the reality of some changes in climate — far from it. I saw the impact of changing weather patterns firsthand while serving as governor of our only Arctic state. I was one of the first governors to create a subcabinet to deal specifically with the issue and to recommend common-sense policies to respond to the coastal erosion, thawing permafrost and retreating sea ice that affect Alaska’s communities and infrastructure. But while we recognize the occurrence of these natural, cyclical environmental trends, we can’t say with assurance that man’s activities cause weather changes. We can say, however, that any potential benefits of proposed emissions reduction policies are far outweighed by their economic costs. And those costs are real. Unlike the proposals China and India offered prior to Copenhagen — which actually allow them to increase their emissions — President Obama’s proposal calls for serious cuts in our own long-term carbon emissions. Meeting such targets would require Congress to pass its cap-and-tax plans, which will result in job losses and higher energy costs (as Obama admitted during the campaign). That’s not exactly what most Americans are hoping for these days. And as public opposition continues to stall Congress’s cap-and-tax legislation, Environmental Protection Agency bureaucrats plan to regulate carbon emissions themselves, doing an end run around the American people. In fact, we’re not the only nation whose people are questioning climate change schemes. In the European Union, energy prices skyrocketed after it began a cap-and-tax program. Meanwhile, Australia’s Parliament recently defeated a cap-and-tax bill. Surely other nations will follow suit, particularly as the climate e-mail scandal continues to unfold. In his inaugural address, President Obama declared his intention to “restore science to its rightful place.” But instead of staying home from Copenhagen and sending a message that the United States will not be a party to fraudulent scientific practices, the president has upped the ante. He plans to fly in at the climax of the conference in hopes of sealing a “deal.” Whatever deal he gets, it will be no deal for the American people. What Obama really hopes to bring home from Copenhagen is more pressure to pass the Democrats’ cap-and-tax proposal. This is a political move. The last thing America needs is misguided legislation that will raise taxes and cost jobs — particularly when the push for such legislation rests on agenda-driven science. Without trustworthy science and with so much at stake, Americans should be wary about what comes out of this politicized conference. The president should boycott Copenhagen. UPDATE: Steven Hayward has a great article in The Weekly Standard on the Climategate scandal. Be sure to check it out. Sarah Palin was the 2008 Republican nominee for vice president and governor of Alaska from 2006 to 2009. Sarah Palin for Canadian Prime Minister, please! We need to remind everyone that carbon dioxide is not "dirty" but is clean and essential for life. Many environmentalists want to ignore water vapor as a greenhouse gas and makes the affect caused by CO2 insignificant.